A rousing blast of Christmas music by a brass quintet is a wonderful way to begin a celebration of all that is uplifting about the Christmas season. Thus did Saltire Brass open the Aeolian Male Voice Choir’s annual Christmas concert at the newly refurbished Kay Park Parish Church last Wednesday evening. The choir’s programme, largely Christmas themed, ranged from the celebratory in the form of songs such as “Joy to the World” and “A Festive Alleluia” to the more contemplative “Mary, Did You Know?” and “Do You Hear What I Hear?” There was also room for some non-Christmas items. The second set had a nautical theme, subtly hidden in one case; “Carrickfergus” (ferry), “My Heart Will Go On” (Titanic), and (self evidently) that old rocker “Sea Cruise”. The strength of the event is always the constantly changing moods and styles of music. This was exemplified by the contrast between John Goodwin’s delightful lilting performances of “Santo Natale”, and the much loved “Starry Night”(accompanied by Alex Ferguson on guitar and vocals), and the Saltire Brass’s accompanying the choir and audience singing, with great gusto, some well loved Christmas Hymns. 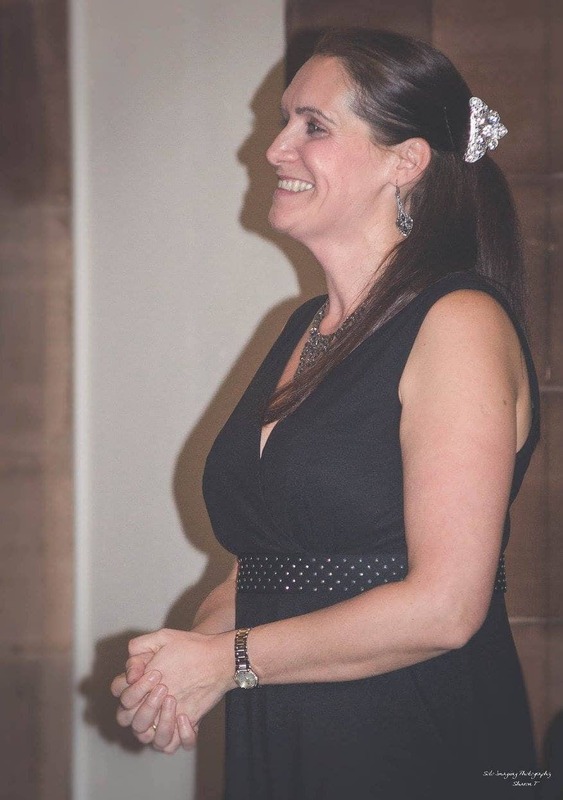 The choir’s special guest for the evening was enchanting soprano Mhairi Gibson who also varied her style by going all the way from the seasonally sentimental “Little Road to Bethlehem” to the upbeat and light hearted “The Man With the Bag”. The sheer quality of her voice and soaring melodies ensured rapturous applause after each song. At a time when a state of war in the Middle East is never far from our minds peace was a theme which occurred more than once. The choir rendered the much loved alloy of the two songs “The Little Drummer Boy” and “Peace on Earth” as made famous by Bing Crosby and David Bowie, and it was wonderful to hear Mhairi sing, along with the choir, “Let There Be Peace” with its driving gospel-style concluding section. 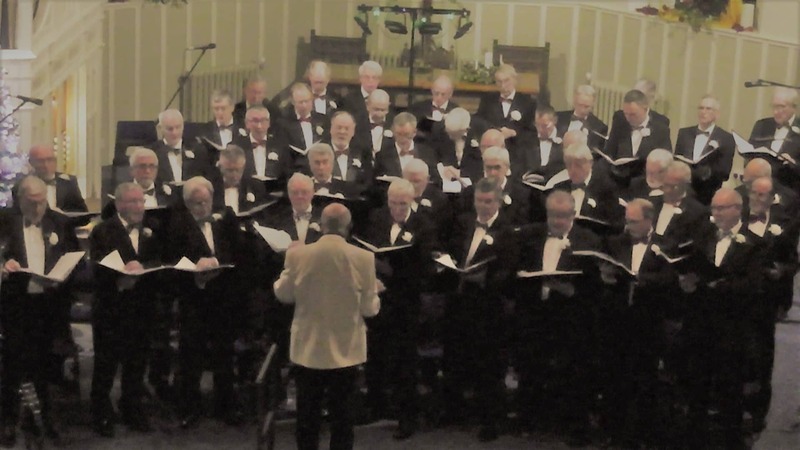 “Christmas Alphabet” was an arrangement by William Barr at whose Lanarkshire Male Voice Choir Festival the choir has been guests several times. William, who was in the audience, generously donated his royalty fee for use of the arrangement to his favoured charity Alzheimer’s Scotland. Musical Director Alex Ferguson and his assistant/accompanist David Walker once again produced a first class show, compered humorously and informatively by John Goodwin and, after thanks expressed to all by choir President Bill Armour, the audience left for home to the uplifting sound of more festive music from Saltire Brass.